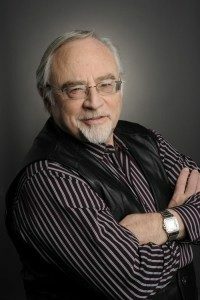 Don Rubin, former Chair of the Department of Theatre at York University in Toronto, is a pioneer in bringing the Shakespeare Authorship Question to college students. Anyone who paid a visit during those sessions knows for sure that the issue will be decided once and for all by the new generation. I want to thank Professor Rubin publicly for his scholarly work among students, for whom he presented the evidence while encouraging them to debate it among themselves and come to their individual conclusions – a genuine spirit of free and open inquiry, creating an excitement about the life and work of “Shakespeare” that is seldom if ever found in most of today’s classrooms. “Written with wit, humor, erudition and the instincts of a real working actor, Hank Whittemore’s 100 Reasons bristles with humanity as it seeks to convince readers that the name Shakespeare was simply a pseudonym. “Begun as a search by the author for the roots of Shakespeare’s titanic creativity, this extraordinary document becomes a personal narrative of the life of the wild and witty Edward de Vere, the most erudite aristocrat in the court of Queen Elizabeth I.
Doesn’t it seem that the establishment can’t accept too much proper attribution based on scientific methods, since those methods could lead also to de Vere?